In honor of its upcoming release of Starwars I created these Out of this World Loaded Breakfast Bars to kick off our mornings. 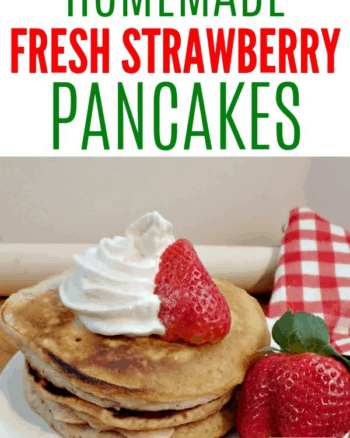 They really could not have been easier, and they taste amazing! 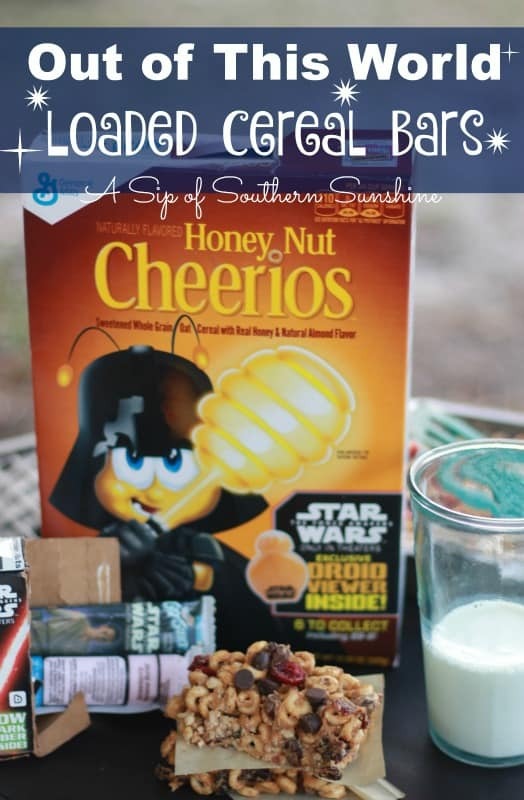 I started with a box of Star Wars™ Honey Nut Cheerios® and mixed in all kinds of galactic goodies to create a breakfast bar loaded with flavor. We rounded out our breakfast with Star Wars™ Go-Gurt® as well as a glass of milk. Do you want to create these tasty breakfast bars for yourself? I have the quick and easy directions for you here! 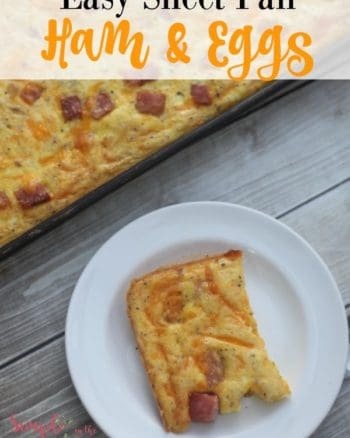 Try these Sheet Pan Ham and Eggs for another easy breakfast recipe idea. Put Honey Nut Cheerios in a large bowl with dried cranberries, diced walnuts, and chocolate chips. In a medium saucepan over medium heat stir together peanut butter and honey until just melted. Chocolate Chip Pankcakes are another great breakfast idea. Allow peanut butter mixture to cool about 5-7 minutes then pour over cereal mixture. Stir in well. Press mixture firmly into an 8×8 pan that has been lined with waxed paper or cling wrap for easy removal. Place in refrigerator for 1 hour to set. Cut into 6-9 bars. These are the perfect start to get your little droid moving or as an afternoon snack. If you want to find this Star Wars™ edition Honey Nut Cheerios® and other kinds check out the cereal aisle at Walmart! 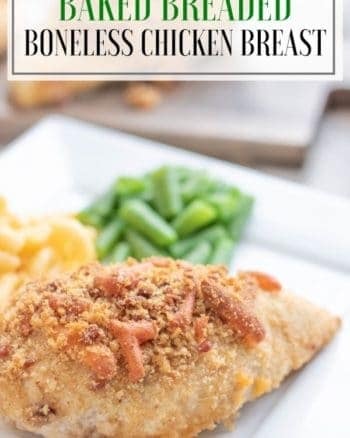 Be sure to visit AwakenYourTastebuds.com for more recipe & party ideas!